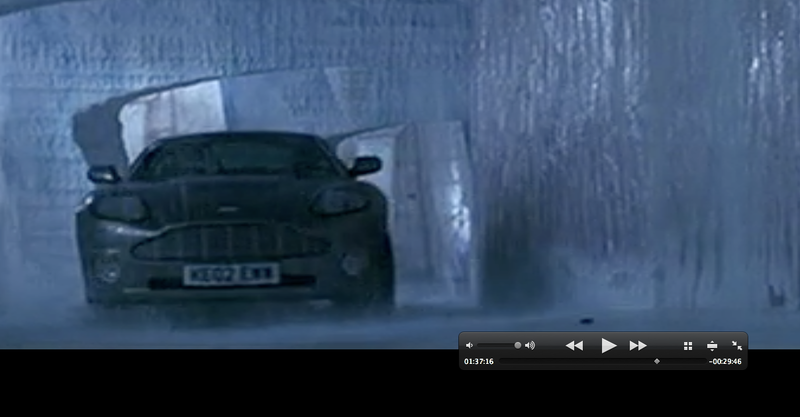 I found this "goof" while watching the James Bond movie "Die Another Day", I took a screenshot of what seems to be a mouse during a furious car chase. I cant be certain that it is a mouse, but what else could it be? Its physically moving, its not rubbish being blown about, it cant be a speck of dirt etc on the film, I'm sure its a mouse? The mouse (by the rewind/play buttons) runs across the centre towards the Aston Martin as it turns at roughly 1:37:15-16. The fate of the mouse is not shown. What a strange thing, after checking IMDB, many "goofs" are mentioned, but nothing of this mouse. Its pretty obvious, to me, is it just that nobody cared much for a little mouse? I'd love to know what you think, do you agree that its a wild mouse on the set? Or am I an Idiot, who's more worried about a wild mouse than an epic car chase?